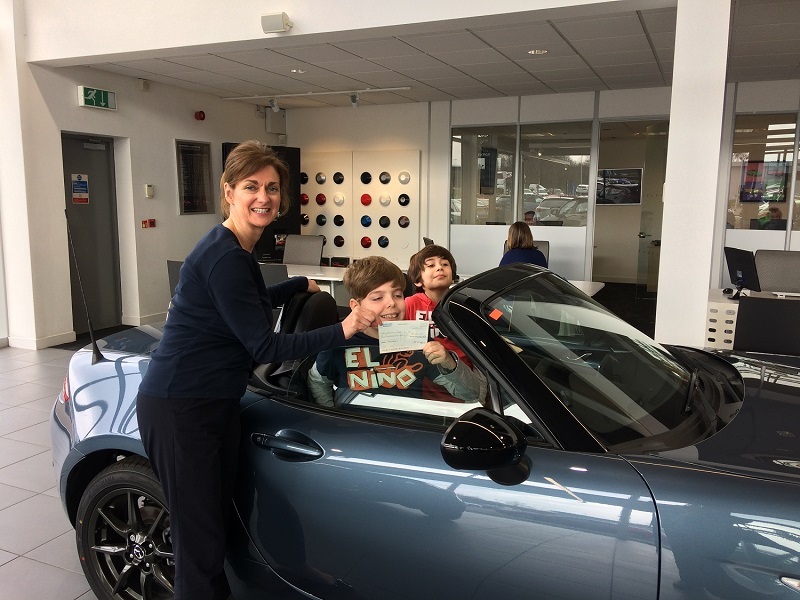 Yesterday we were delighted to welcome Alex and Zachary Chiapparrone, along with their Grandfather and Mazda Customer Glyn Humphreys to accept our donation towards their fundraising initiative 'Friends of Elm Park'. Elm Park is a local park that has sadly been neglected. A group of local residents are aiming to restore it to it's former glory and make it a playground for local children. We were delighted to hear that Whitby High School have been making some bird boxes and Chester Zoo are going to be advising on a wildlife project in the park. To keep up to date on their progress you can follow their facebook page Friends of Elm Park.